Napster is the first and original music sharing service that was free when it was introduced and changed the whole music market and the way people consumed and shared music. It was slammed for piracy and usurping copy rights and soon had to change its status to a subscription service with all legal obligations fulfilled. Napster officially denied developing an iPhone app last year which was a disappointment for fans of both but it looks like the company has now realised the massive popularity of Apple’s devices worldwide and has decided to join in on the iOS market share. 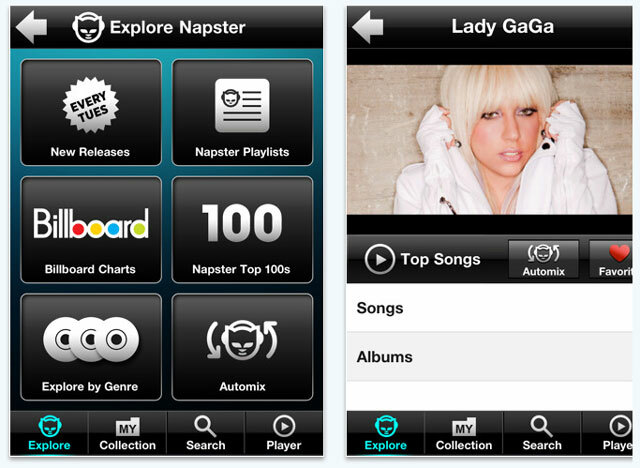 The official Napster app is now available for the iPhone, iPad and iPod Touch. Users will have to pay a $10 fee per month and will have access to 10 million full length songs which they can also listen to when they’re off line. You can also save songs to play off line, create your own play lists, save the 100 songs you’ve previously played and check out new releases, recommendations, and Billboard charts dating back to 1955. The iOS Napster app is available on iTunes to download now. iPad Arrives On Amazon & Target, Will it Kill The Kindle?